SHEPHERD Chartered Surveyors is offering a residential development opportunity in Stevenston, Ayrshire, for sale. 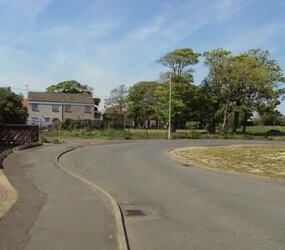 Full planning and building warrants are in place for the erection of eight three bedroom semi-detached houses on a 0.5 acre site on Lumsden Place, a cul-de-sac within an established residential area of Stevenston. The eight semi-detached villas permitted comprise an entrance hallway, lounge, dining kitchen and WC at ground floor and three bedrooms and a bathroom on the first floor. Stevenston, one of three towns within the North Ayrshire Council area, has a population of around 9,100 and is located a short distance west of the A78 trunk road, five miles north of Irvine. Offers over £120,000 are invited.